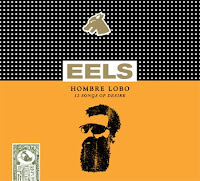 Listen to HOMBRE LOCO by EELS in its streaming entire glory now - before its release on June 2 - on TheirSpace. This reminds me, god do I hate MySpace. 1. We will give volunteers a free pair of tickets and a meet and greet with Matthew. 3. The subject line must start with your city and please only select cities listed below. 5. You will be notified ASAP, if you are selected to join. Thank you very much for your support and your help in getting the word out! My email has been sent - let's see if I get to meet the man once again! Thanks for the tip, Dan! Now this is big news - Macca and Dylan are recording over the summer according to the Daily Express (via Gigwise). Details are scarce but the assumption is they'll record in either Paul's or Bob's home in California which are not too far from each other. Can't wait to hear the musical outcome. Is it sad that I'm getting more and more of my music news on Facebook? Anyway, Sarah McLachlan is performing for Jay Leno on Wednesday May 27th so set your DVRs to stun record if that's past your bedtime like it is mine. According to Sarah's Facebook page, she performs at 11:45PM. Still no word of a new album. Rooney announced on Facebook today that they've finished their new album and are currently shopping it around for mixing. They've described it as a "gothic, romp, mud". You'll have to watch the video on their page to understand. They're also playing on the new Conan O'Brien show. Well, kinda. They're playing on a test episode for the new Tonight Show with Conan O'Brien. The footage will be on the web sometime in June. While perusing the Rooney page, I also noticed they're doing the theme song to a new Nickelodeon show based on the awesome Iron Man movie - "Iron Man: Armored Adventures". Check out the video to the song below. 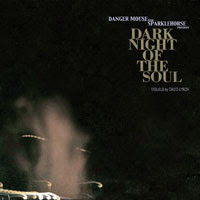 In addition to Danger Mouse and Sparklehorse, other artists appearing on Dark Night of the Soul include James Mercer of The Shins, The Flaming Lips, Gruff Rhys of Super Furry Animals, Jason Lytle of Grandaddy, Julian Casablancas of The Strokes, Frank Black of the Pixies, Iggy Pop, Nina Persson of The Cardigans, Suzanne Vega, Vic Chesnutt, David Lynch, and Scott Spillane of Neutral Milk Hotel and The Gerbils. Much more interesting and likely to hit many year-end lists. I've only had a chance to listen to The Flaming Lips' Revenge and it was quite good. Oh, and if the diversity of the music isn't enough for you, the packaging will include an exclusive book of photos taken by David Lynch. 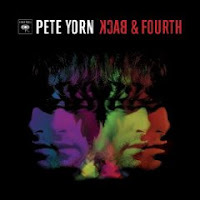 I've listened to the album all the way through at least a dozen times, and can confirm that Dark Night of the Soul delivers in every way you'd hope for. It's beautiful but haunting, surreal and dark, but sometimes comical and affecting, with ear-popping, multilayered production work. It just gets more mesmerizing with every listen. NPR is quickly becoming one of the finest music destinations on the web. Dark Night of the Soul doesn't come out until July but you can hear the album in its entirety at NPR.org. Amazing. Matthew Sweet and The Smithereens performing at the same gig?! Who's been sneaking a peek at my dreams? Taste of Naperville, activities for children, the Naper Days Express train, music from The Smithereens and Matthew Sweet. Admission: $5; children 8 and under are free. Concert tickets are available at www.naperdays.org. After 6 p.m. on June 20 and 21, tickets are $10 at the gate. Naperville is in Illinois in case you didn't know. I lived there once upon a time. A bit too suburban for my tastes, but if this is really a "Taste of Naperville" then I may have been wrong. Listen to Wilco (the album) in its entirety right now - it's currently streaming at wilcoworld.net! Out June 30. Flaming Lips are still finishing their much-anticipated next project - album doesn't seem to give it justice. 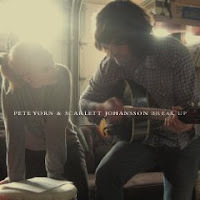 It will actually be a double album and might not be what you expect. Among the new songs currently in the mix are the Joy Division-meets-Miles Davis Group (John McLaughlin era)-sounding "Convinced of the Hex" and the John Lennon-inspired "I Don't Understand Karma," which Coyne describes as his response to "Instant Karma." Of course with Flaming Lips, you should abandon all expectations anyway. A late summer release date is expected - or not expected. 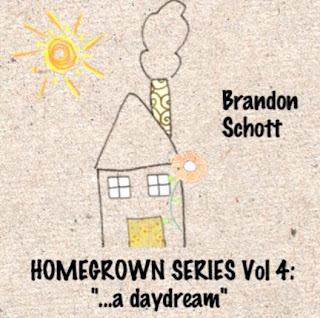 "...a daydream" is an older demo i recorded at home (on my particularly saloon-esqe piano), sometime between the RELEASE and GOLDEN STATE records. 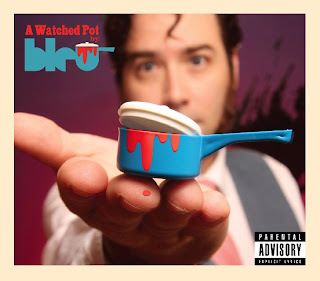 conceived on a particularly hazy and restless work-day afternoon (read: bored at the ol' day job), i always kinda dug the journey this little tune took - it kind of ambles along at its own whimsy....much like too many afternoons at work :) hope you guys dig." 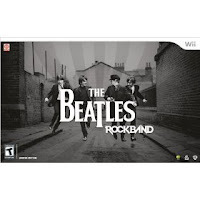 The Beatles: Rockband is officially available for pre-order right now at participating retailers including Amazon.com. Time to dig through the underwear drawer for some loose change if you're going to afford the $250 price (which I'm sure will be totally worth it)! Exclusive content for the "Pre-order Club" is also already available right here. Anybody have a couple extra bucks to loan a Beatles fan with a lack of cash flow? Stupid economy. The gripping "One Wing" builds from a quiet introductory section to a strident, arena-worthy stomper, while strings and horns color the majestic final portion of album closer "Everlasting." Rounding out the album, "You Never Know" is a flashback to the ebullient pop/rock of 1999's "Summerteeth." Something for everyone on this "eclectic" new album! Can't wait. Midwesterners, Thursday night Fleetwood Mac will be in Omaha for their Unleashed: Hits Tour 2009. Right now they are offering 2 for 1 tickets for the low low price of $38.75. Insane. That may be one of the best values for a classic band I've ever seen. Road trip! Monday seems to be a good day for a biz update. Here are three updates about Apple; two about the company and one about the band of the singer who inexplicably named his kid after the ubiquitous fruit. Apple says no to naughty Nine Inch Nails. Major labels are losing money since iTunes went to variable pricing. TAFKACS is also accusing Coldplay of lifting his original music for Viva la Vida. 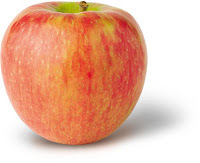 Great, now I'm jonesing for a honeycrisp. UPDATE: Here is Trent Reznor's hilarious rant responding to Apple's questionable biz decision. No real apples or baby Apples were harmed. True to his word, Chris Martin and Coldplay are giving away a live CD during their summer tour. LeftRightLeftRightLeft will also be available online when the tour starts on May 15. June 12 in Des Moines! Go here to download Wilco's cover of Woody Guthrie's The Jolly Banker. They ask for a $2 contribution, but it's all on the honor system. Wilco (the album) officially hits stores June 30.